Prodigy is one of my students' favorite sites for math skills practice. The site features an interactive gaming environment, which students love, and Common Core aligned skills practice that teachers need. The game starts with a placement "test" (although students would never know it's a test! ), and then gives students practice with the skills they need help with according to the test. Teachers can also create an account and assign specific skills to students for different date ranges so that students are practicing what is being taught in the classroom. When a student finishes the teacher assignments, random skills are presented based on the placement test. Many of my most difficult to motivate students love practicing math this way, even at home! CCSS aligned for grades 1-8. Formative is an online assessment tool that allows you to view student responses live, as they are completing the assessment. You can create assessments from scratch or upload PDFs and just add question numbers (my favorite way to use the site because it's so fast to set up). Multiple choice and short answer questions can be graded automatically. There's also an option for students to draw their answers, much like using Paint. It is amazing, especially in math, to be able to watch every single student solve a problem in real time. As students complete work. you are able to grade and give feedback instantly. I've used Formative for both formative and summative assessments. Students love the instant feedback, and it really helps trim down my grading time! 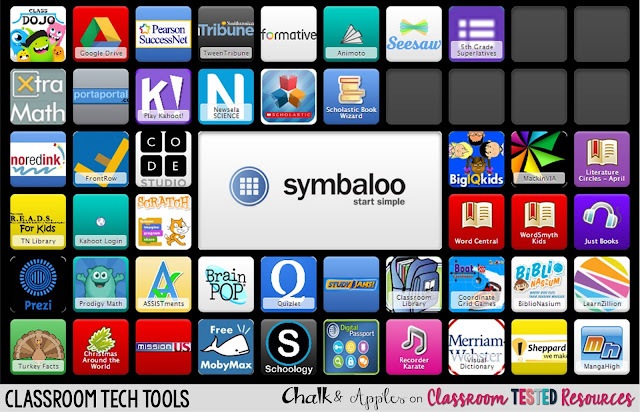 Symbaloo allows you to create a collection of websites with colorful icons for easy student access. The icons make the site engaging and student friendly, and it's beyond easy to set up a "webmix" as Symbaloo calls it. In order to protect my webmix and make it easy to access, I embedded mine in a Weebly site. If you want to see how I set up my site, you can check out this post at Teaching Trio. For all grades. 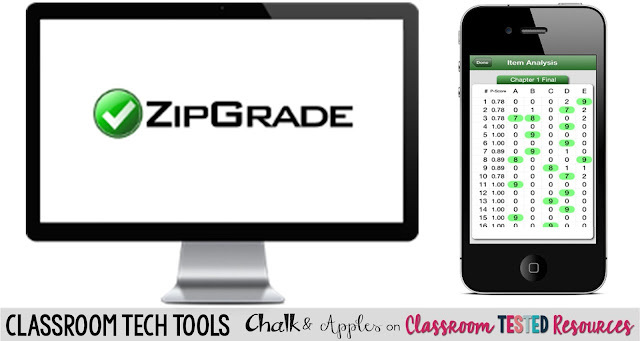 ZipGrade is an app (available for iPhone or Android) that automatically grades multiple choice bubble sheets. 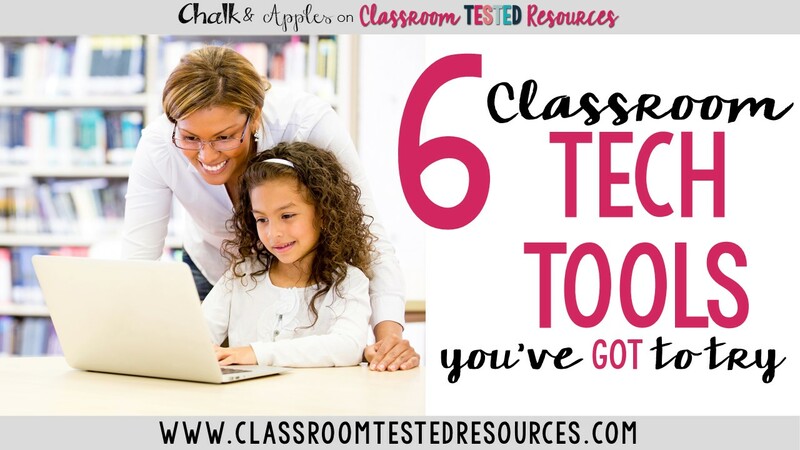 I'm not a big fan of "bubble tests" in general, but the fact is, many of us are required to give beginning, middle, and end of year assessments with way more questions than we want to grade manually. Zipgrade makes it easy and fast! You print one of their answer sheets, and when students have marked all of their answers, the teacher scans the sheets with a mobile device, and voila - instant grading! You even get an item analysis for each question. I don't use it often, because this isn't my style of teaching, but it saves me an hour or more of grading every time I do need it! Hands down, my students' favorite tech tool of the entire year! Kahoot! is a trivia-style review game that you can use for any subject. It will remind you of the trivia games at your favorite sports bar. Students answer multiple choice questions, earning more points the faster they get the correct answer. The game style is fun and engaging, and even encourages students who aren't doing well to keep trying. You can read more about how I use Kahoot! on my blog, Chalk & Apples. For all grades. 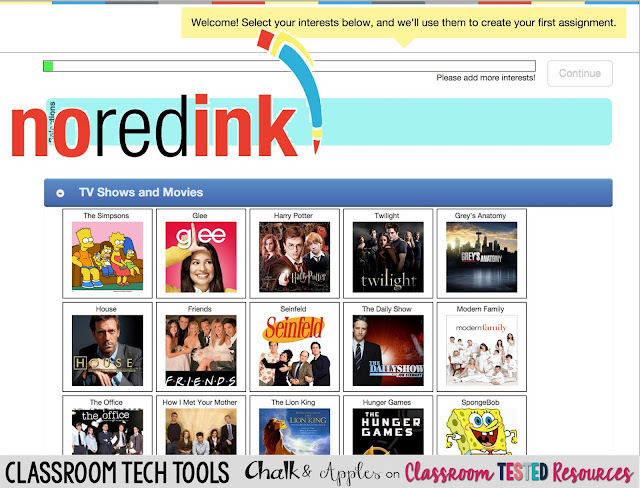 Another classroom favorite this year has been NoRedInk. This site allows students to practice grammar skills online with lessons and skill practice tailored to their interests. When students first sign up on the site, they choose several interests from a selection of movies, TV shows, books, musical artists, athletes and more. Then, each student's practice sentences and paragraphs include characters and situations related to their interests. There's a paid version available, but I have been using the free version, and have had plenty of practice items to use with my class. 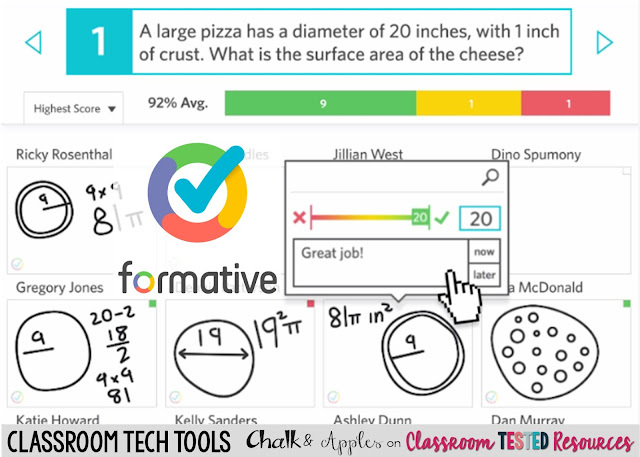 If you're interested in learning more about these tools and others I've been using in my classroom, head to my blog, Chalk & Apples. 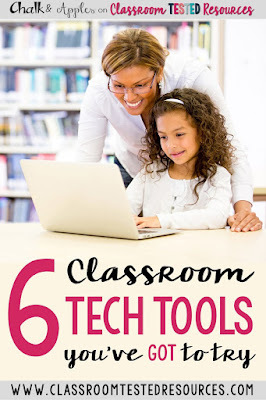 I'll be doing a series of posts this summer on my favorite tech tools & sites, so be sure to follow me on Bloglovin', by email, or on one of my social media sites through the links below. What are your favorite tech tools? I'm always on the lookout for new sites, so I'd love to hear what you're using in the comments!